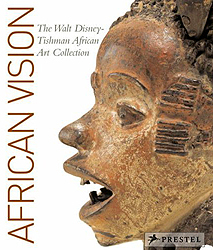 Treasures marks the National Museum of African Art's 25th anniversary as a Smithsonian museum. The first in a new exhibition series, Treasuresis an old-fashioned show about African art, reminiscent of the exhibitions that represented avant-garde opinions of the early 20th century. 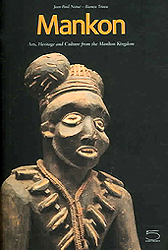 In 1926, Paul Guillaume, Parisian connoisseur and collector, cautioned readers to defer learning about the history and meaning of African art until they had studied African art purely as an art form, because to do otherwise "tends to obscure one's vision of the objects as sculpture." I chose the familiar--traditional sculpture--to reveal aesthetic variances, to see African art as form, not function. Treasures, therefore, is about visual exploration and aesthetic discovery. Our understanding of African art is prescribed by what we see, and often, what we see is based on works displayed in museums. 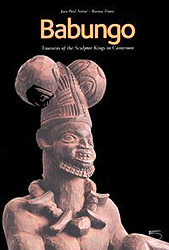 So, "Treasures" is just that--a sampling that gives us a peek into the realm of African art. Westerners and Africans alike revere well-made form. Each admires skillful technique and execution, exquisitely rendered forms, pattern, balance, symmetry, surface treatments and a sense of completeness. African artists, however, strive to portray more than that. As metaphor or symbol, their artworks embody the world of ideas and beliefs--confirming their notions about themselves, life and death, the universe and the spiritual realm. Yet, despite our cultural presumptions that separate art from life, often separating aesthetics from meaning, and our ignorance of or indifference to what it means and how it is used, African art astonishes. The British Museum is a museum of human history and culture situated in London. Its collections, which number more than 7 million objects, are among the largest and most comprehensive in the world and originate from all continents, illustrating and documenting the story of human culture from its beginning to the present. The British Museum was established in 1753, largely based on the collections of the physician and scientist Sir Hans Sloane. The museum first opened to the public on 15 January 1759 in Montagu House in Bloomsbury, on the site of the current museum building. Its expansion over the following two and a half centuries has resulted in the creation of several branch institutions, the first being the British Museum of Natural History in South Kensington in 1887. Until 1997, when the current British Library building opened to the public, replacing the old British Museum Reading Room, the British Museum was unique in that it housed both a national museum of antiquities and a national library in the same building. The museum is a non-departmental public body sponsored by the Department for Culture, Media and Sport. As with all other national museums and art galleries in Britain, the Museum charges no admission fee, although charges are levied for some temporary special exhibitions. Since 2001 the director of the Museum has been Neil MacGregor. Though principally a museum of cultural art objects and antiquities today, the British Museum was founded as a "universal museum". Its foundations lie in the will of the physician and naturalist Sir Hans Sloane (1660–1753). During the course of his lifetime Sloane gathered an enviable collection of curiosities and whilst not wishing to see his collection broken up after death, he bequeathed it to King George II, for the nation, for the princely sum of £20,000.